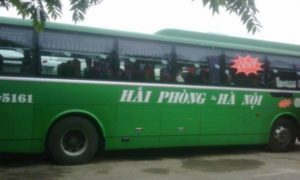 You can get from Hanoi to Halong Bay by the 6 main transports, which includes motorbike, coach, shuttle bus, private car, train, helicopter, and waterway transport (in Hai Phong). 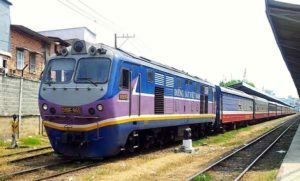 This little article will provide the most up-to-date (2019) guide of these 6 main transports from Hanoi to Halong (or Vice Versa) and help you find the cheapest and fastest option. For each transport option, we will also show you step-by-step how to book. How To Rent A Motorbike in Hanoi? Firstly, choose a bus station and bus provider. Is Local Bus Option A Good Choice ? Halong Bay is located in Quang Ninh Province. Previously, it took 4 hours to get from Hanoi to Halong, so instead of travelling to Halong Bay right after landing in the Noi Bai airport. Noi Bai International Airport- 30 km (19 miles) away from Hanoi. This is also the closest and biggest international airport to Halong Bay. Most the travelers will spend a day and explore the capital and travel to Halong Bay the next day. However, after the new highway came into operation at the end of 2018, beginning of 2019, the distance between Hanoi and Halong is shortened from 175km to 125km. The traveling time from the capital to Halong reduces from 4 hours to 2-2.5 hours by car. So travellers, who have limited time still can visit Ha Long Bay from Hanoi and back in the same day. Let’s take a look at the chart below, it will show you the pros and cons, also price of each transport option. For adventurous, budget travelers who wish to explore local life and scenery, there is no better way than driving a motorbike from Hanoi to Halong. It is not hard to rent a motorbike in Hanoi, even if you are a foreign visitor. You can find many renting stores in the Old Quarter (or the West Lake area) with English-speaking staffs and owners. Depending on how long your stay in Vietnam, you can choose among monthly, weekly, and daily rental services. These rental shops provide various types of automatic, semi-automatic, manual, and touring bikes with such brand name as Honda, Yamaha, Attila, Air blade, etc. To rent a bike, you need to pay for the deposit and rent fees. Generally, the rental shop will request a copy of your passport. If you are required to provide your original assortment, try to negotiate because you may need your passport for other occasions. Driving a motorbike is obviously a cheap and convenient option for free spirits who love to explore Vietnam more closely. The daily rental and gasoline cost are quite cheap; plus you can start your journey whenever you want. On the other hand, it is quite dangerous to engage in traffic in Vietnam so make sure you are willing for the risk and have good driving skill. Plus, it is easy to get lost, especially if this is your first trip in Vietnam. 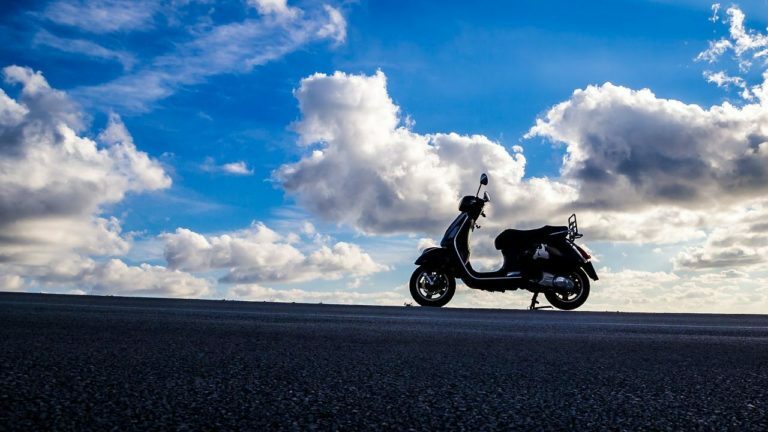 Even if you pay attention to the weather forecast before your trip, it can rain heavily all of a sudden or your bike breaking down along the way. Last but not least, a 3-hour drive can be time-consuming and tiring. If you insist on this option, choose a good motorbike and protection gear, a map and phone that can connect to the internet to google your way. It is best to go with a friend so that you have someone to rely on in case of emergency. And remember that as a foreign visitor, you have no Vietnamese driving license so actually it is not legal to drive a motorbike around. Generally, local traffic officers do not make things hard for you but you need to wear a helmet and follow traffic signals to avoid any trouble. 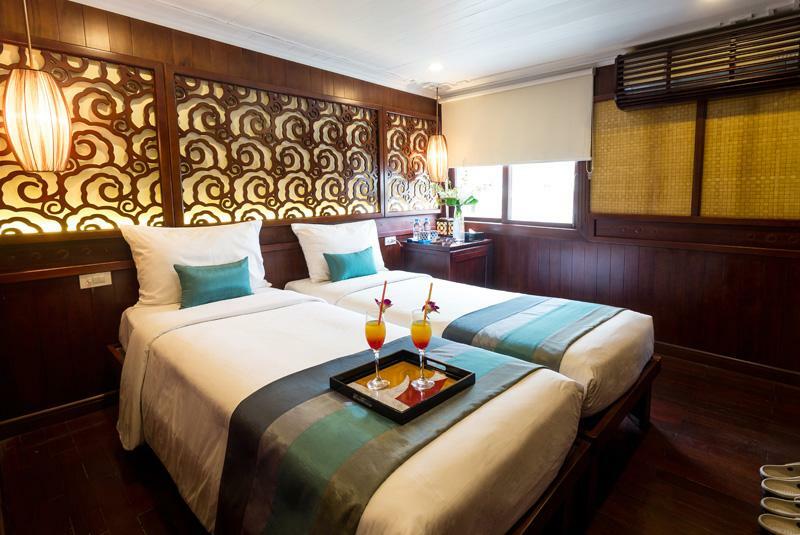 For those who travel on a budget, this is an attractive option as it costs as low as 100,000 VND (less than $5). This means of transport usually has a lot of seats (the 45-seat type is quite common). It took only 3 hours to travel from Hanoi to Halong Bay by bus, thanks to the new Highway. Sometimes it took longer since local bus have to go around bus stops to pick their customers. If you want a premium to luxury bus (7-9 seats, air-conditioner, wifi…), there are also variety of options for you to choose. Of course, the price could be double or triple comparing with a budget bus. You will want to choose the route that stop closest to where your halong cruise company port (Asking your cruise company that you book with). For example: If you decide to pick Kumho Viet Thanh provider in My Dinh coach station. You can call the direct number of Hanoi representative office in My Dinh Station to book a ticket or go to My Dinh Bus Station where you will see the ticket box of KumHo Viet Thanh which lies between ticket box number 8 and 9 right at the entrance. The staffs don’t speak English, so prepare yourself with body language and some simple Vietnamese phrases. 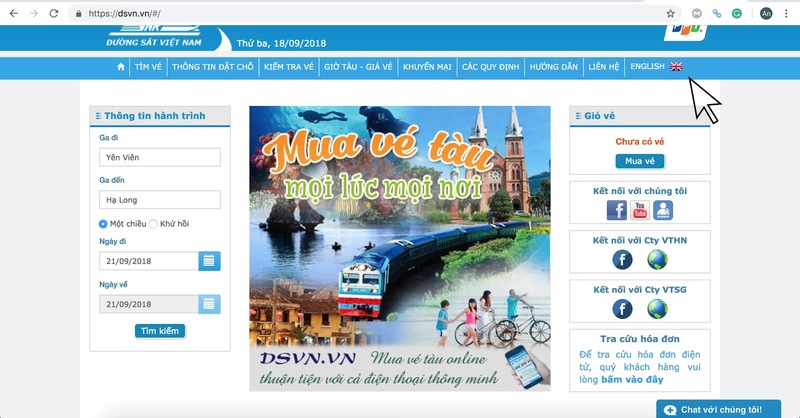 To book a ticket online, go to https://vexere.com/en-US, put Hanoi as your location and Halong for the destination. Note: There are fewer choice of bus providers online comparing to number of providers in the station. Many providers still prefer in-person selling. Depending on where your cruise ports, you should pick the nearest bus stop to the port. Most of the buses will stop at the city center in Quang Ninh then you will have to take a taxi to the port. If you choose to go with premium bus or limousine options, they will have more drop off stops that closer to the port locations. Select your date of departure and you will see a long list with details of coach provider, departure time, coach station, seat available, and ticket price. The site is available in both Vietnamese and English so you can navigate it with ease. If you don’t want to worry about all the hassle of buying ticket and take extra transport to go between station to where your cruise port, the shuttle bus option will be discussed below might be a better choice! After getting off the bus, you need to catch a taxi, “xe om” (a kind of motorbike taxi), or simply order Grab via your smartphone. It costs you around VND 90,000 for taxi and 50,000 – 70,000 vnd (~ $3/person) for “xe om”. This rate is for those who get off at Bai Chay station, which is 5 km from Tuan Chau Gate (Cruise Port). If you can speak with the coach driver, you should tell him to drop you off at Tuan Chau Gate. From here it takes you half of the taxi rate. Yes, this option is really cheap and quite easy to find coach providers but it has many disadvantages. The staffs at coach station don’t speak English, so prepare yourself with body language and some simple Vietnamese phrases, or else you may miss your stop. Coach stations are not located near the Old Quarter or West Lake where many visitors live so you need to catch a taxi, city bus, xe om, or Grab (like Uber) to the station. Coaches often depart early so if you sleep in, you have to wait for the next coach in a very crowded and noisy coach station. The traveling time is long, up to 3.5 hours. And the bus will go around to fill up customers along the road. However, if you still want to go with this option, do your research or maybe go with premium coach providers. Or Maybe you will find some options below are more suitable for you. When booking a cruise, you can ask the agent or a Halong bay cruise company for a shuttle bus service. They normally will offer combo package, which is cheaper than you book them separately. Sometimes, cruise companies will run special promotions and offer free transfer if you book a cruise with them. The cost will vary among different companies and different types of bus. But normal price will around 250-500 ($10-20) for a one-way ticket. In general, it is easy and convenient because you don’t have to worry about pick-up and drop-off point. The bus will pick you at your hotel on request and take you to the cruise center where your cruise ship ports. 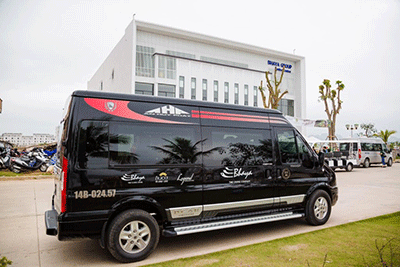 After your Halong Bay trip, the shuttle bus will wait outside the cruise center and take you back to Hanoi. Previously, it took about 3.5 hours to get to Halong Bay as the traveling time has now been reduced to 2.5 hours with the opening of the new Hai Phong – Hanoi Hight way since 15th October 2018. For example, Bhaya Shuttle Bus departs daily from central Hanoi to the Tuan Chau Marina, Halong Bay. 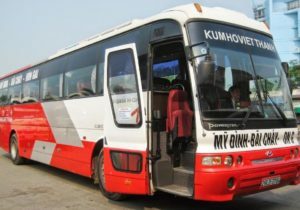 The bus will pick you up at your hotel in Central Hanoi and drop you off at Tuan Chau International Passenger Port. – Rest stop: 2 hours after departure. Around 15 minutes.The stop normally lasts around 15 to 20 minutes. Check out Bhaya’s best Halong Bay cruise from Hanoi ! It offers more comfort and convenience than a local coach with normally 7-16 seats only. The bus goes straight to Halong City and might have only a break within short time (~15 mins). It will not welcome new customers along the way. Besides air-conditioner, Wi-Fi and water bottles are also served on the bus. Drivers can usually communicate in basic English so this can reduce the language barrier. You won’t have to worry about buying bus tickets or taking extra vehicle from bus station to the port. If you do not want to share the trip from Hanoi to Halong Bay with strangers or wish to be totally flexible of your schedule, a private car is your best option. 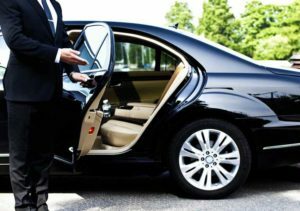 Whether you are a busy businessman on holiday or go on a vacation with your family, a private transfer will ensure the best privacy for you. At a cost, of course: about 1,500,000 vnd – 5,000,000 vnd ($70-100) for a round trip. You can ask your tour or cruise operator to arrange this service for you or simply book a taxi. Here are some big taxi brands in Hanoi to choose from. If comfort, flexibility, and privacy really matter to you, then yes, you should consider a private transfer. If you want to take a taxi to Halong Bay, make sure to confirm the total cost with the taxi driver. They may charge you more when they take a longer route than necessary. Or check with your cruise providers, they might have private car pick up at airport services packaged with their cruise tour. 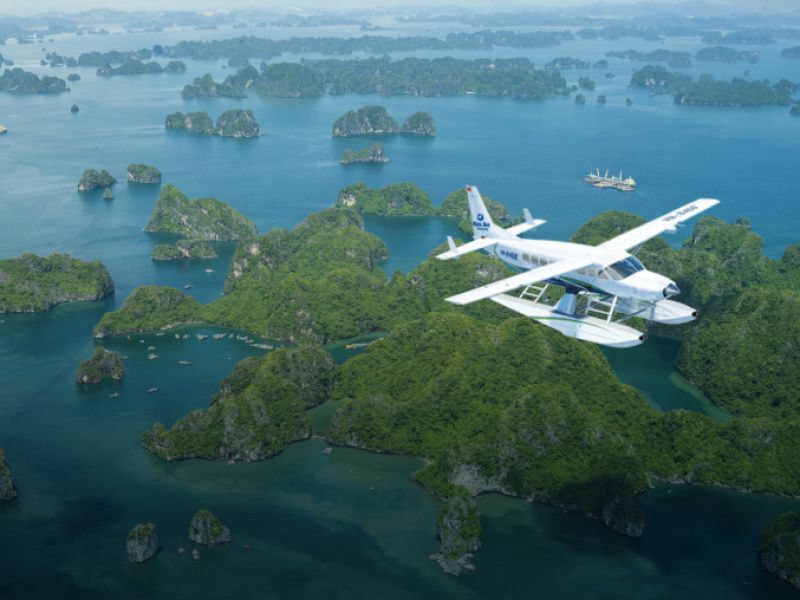 Seaplane is the only option if you want to fly from Hanoi to Halong Bay. This is also the fastest way to travel from Halong and also the most expensive way. it takes only 45 minutes to travel from Hanoi to Halong by seaplane. Traveling by seaplane you will get an amazing view of Halong from above which a normal transfer or cruise cannot provide. To book seaplane, you can contact directly with the company that operates the seaplane. 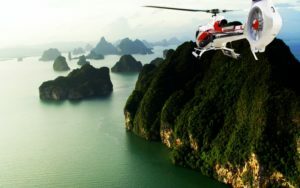 Hai Au Aviation is the only service provider in Halong Bay with the cost of around $400/person/round trip. 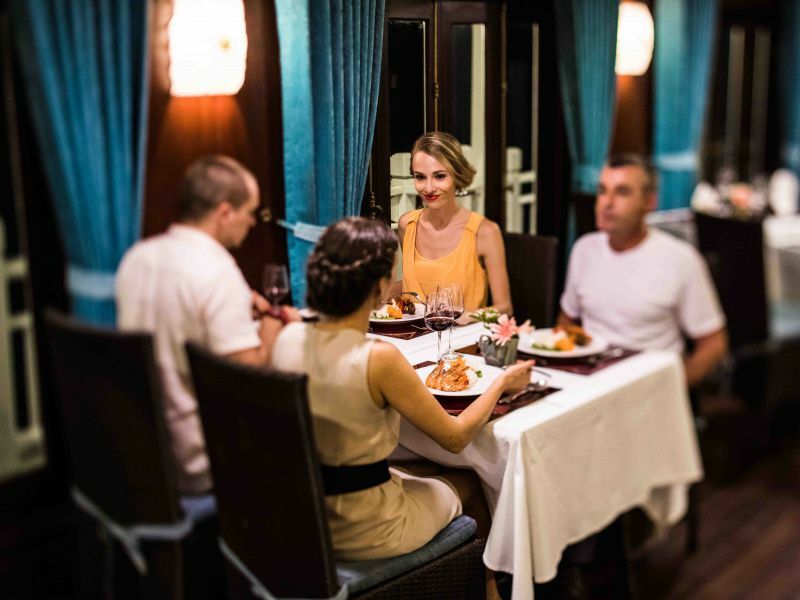 Bhaya Cruise also does offer a combo package with seaplane transfer and cruise at very affordable price. The train departs from Yen Vien Station in Hanoi go to Halong City Station at 4.55 am & returns at 13:50 pm every day. For those who only have a day to visit Halong, the long traveling time of 6 hours by train is definitely not a good choice. From the Halong station, you will need to catch a taxi to get to the city center so that will add to the cost. On the other hand, if you do not mind the long traveling hours and love the sound of the train whistle, this safe means of transport can offer you a lovely view of scenery along the way. – From: For departure point, type Yen Vien and select the Vietnamese name Yên Viên that appear on the list (if you do not see the word Yên Viên on the list, an error that happens from time to time, just enter and the system will automatically correct this mistake). – Other information: departure and return date, your choice of one-way or two-way trip. 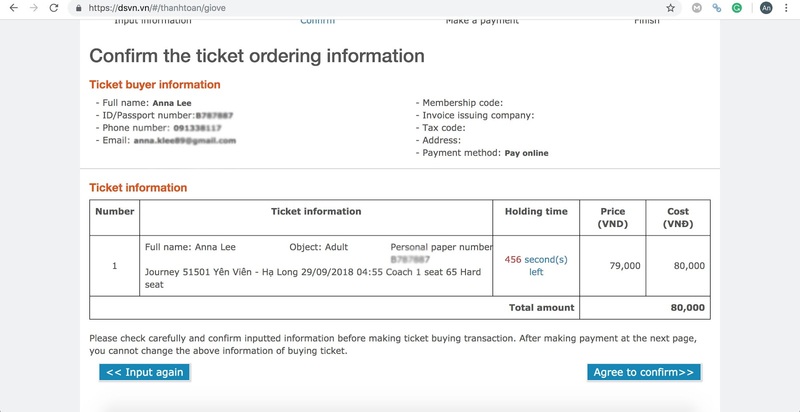 Once you confirm your ticket ordering information, you will get the order number and the amount of money you have to pay. Collect your ticket when you arrive at the train station counter. Instead of going straight from Hanoi to Halong Bay, many tourists choose the route of Hanoi – Cat Ba first before arriving at Ha Long Bay. That way, they can enjoy the also beauty of Cat Ba island, which is also a very well-known tourist attraction in Vietnam and is only about 15 km (9 miles) from Hai Phong City. 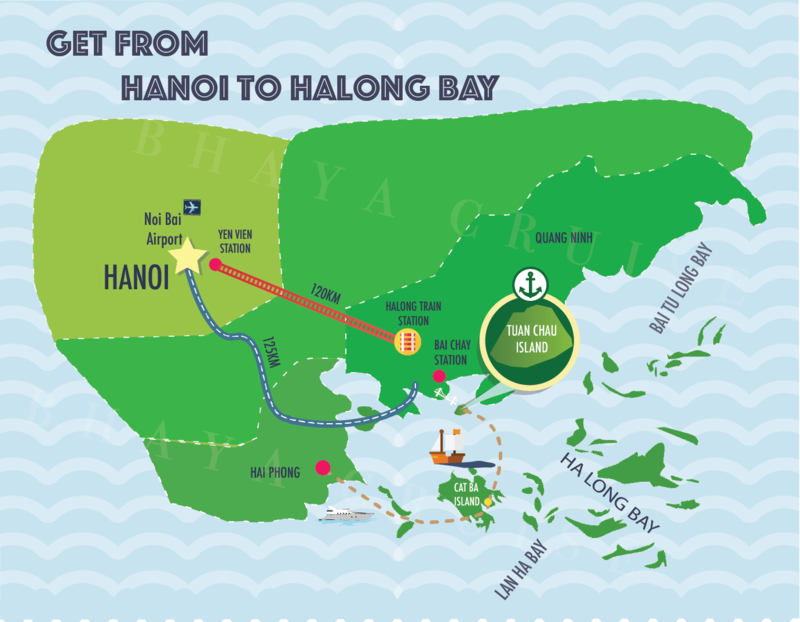 You will have to travel from Hanoi to Haiphong by car (bus, train) + speedboat to Cat Ba Island + Speedboat to Halong Bay. Overall, the traveling hour is around 2- 3 hours/trip. You can depart from Hanoi Railway Station in Le Duan Street, Gia Lam Station in Gia Thuy Street, Long Bien Station in Tran Nhat Duat Street. The ticket fare is about $5-6. This is the cheapest option which costs about 2 – $3 only. Depending on your location, you can choose an appropriate station such as Ha Noi Giap Bat Bus Station or Nuoc Ngam Station): around 1h 30m. The traveling time is about 1.5-2.5 hours. It takes about 1h 30m to get to Hai Phong by taxi, quite the same time if you go by personal means of transport like a motorbike or private car. The taxi cost is $75 – $95. These days, many tourists catch a bus or car to the chosen ferry station and then get on a speedboat/hydrofoil to Cat Bat Island for about 45 minutes at the cost around VND 150,000-220,000 ($7-10USD). After getting off the ferry station, they take a bus to Cat Ba Town. 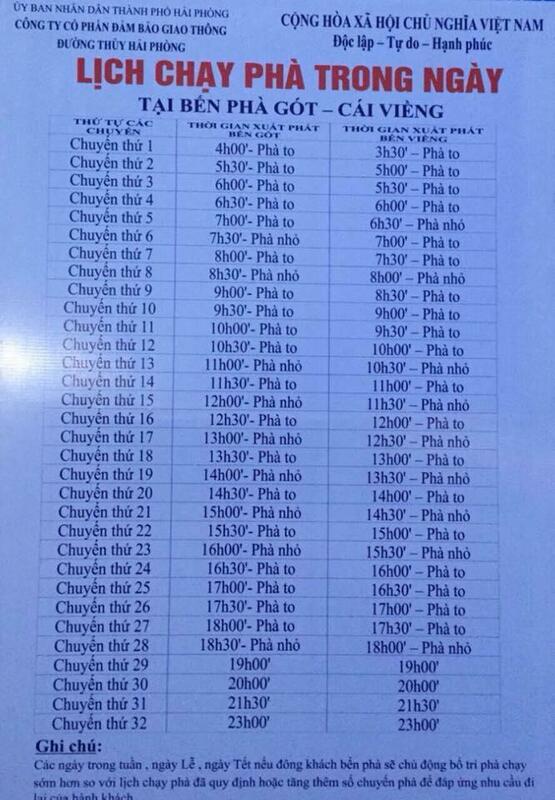 To save cost, you can take a slow ferry of 15 minutes from Got ferry station to Cai Vieng ferry station (the timetable is as below). 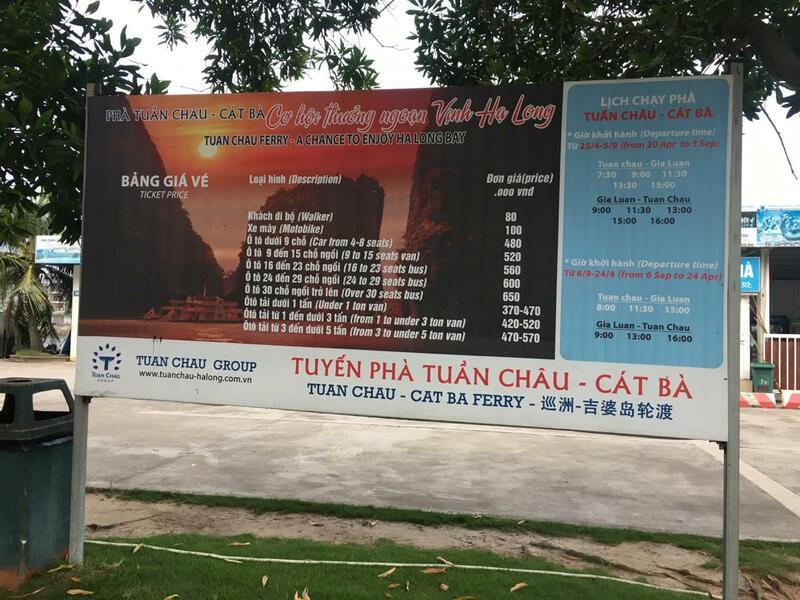 The most popular way to get to Tuan Chau Island from Cat Ba Island is by taking a ferry from Gia Luan Station to with ticket price of VND 80,000/person ($4USD). Choosing the best transport means from Hanoi to Halong is not easy as there are many factors to consider like the weather, budget, and travel time. All means of transport described above have pros and cons so please consider them carefully before making your decision. Let us know if you have any question by comment below!